Egypt's national airline has suspended all international flights after its air crew declared a strike early Friday morning. The airline stated that to avoid overcrowding it would be suspending all its international flights for 12 hours but would continue domestic operations. 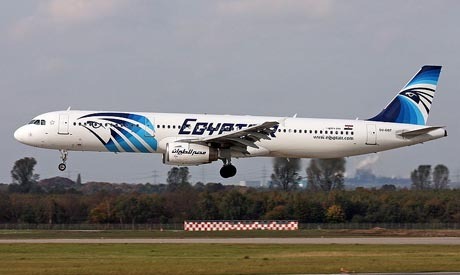 "Because of a strike by EgyptAir aircrew affecting some early morning flights, the company decided to suspend its schedule of international departures from Cairo between 4am and 4pm (0200-1400 GMT)," a company statement said. Air hostesses and stewards started their strike early Friday morning to demand better working conditions, including better insurance and an increase in staff numbers. Hundreds of passengers stranded at the airport complained they were not being told the time of their postponed departures. In September 2011, EgyptAir ground staff went on strike to demand better working conditions. Strikes in Egypt have been on the rise for several years, performing an instrumental role in the ouster of president Hosni Mubarak last year. Since the 18-day uprising, strike action has been on the rise. * This article was amended on 7 September 2012 to correct the date of a previous EgyptAir strike from September 2010 to 2011.